Once upon a time in Hollywood, everyone in Hollywood was cast in the same Quentin Tarantino movie. 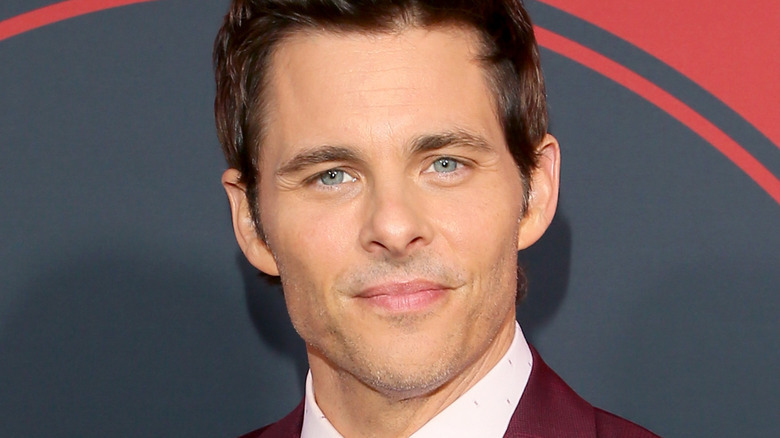 James Marsden is the latest big-name actor to join Tarantino's much-buzzed-about tenth film Once Upon a Time in Hollywood, which stars Leonardo DiCaprio as out-of-work actor Rick Dalton, Brad Pitt as Rick's devoted stunt double Cliff Booth, and Margot Robbie as Sharon Tate, the silver screen darling who was slain by members of Charles Manson's cult "family" in August of 1969. Marsden joins a laundry list of additional actors for the film, which is set in 1960s Los Angeles and is said to have a Pulp Fiction-esque structure to it. (That certainly makes the ever-growing ensemble cast seem more understandable.) Dakota Fanning stars as Squeaky Fromme, Damian Lewis is real-life actor Steve McQueen, Luke Perry plays a character called Scotty Lancer, Emile Hirsch is the adored Los Angeles-based hair stylist and Manson Family murder victim Jay Sebring, Nicholas Hammond portrays film director Sam Wanamaker, Clifton Collins Jr. is Ernesto the Mexican Vaquero, Keith Jefferson is the best-named character of the bunch, Land Pirate Keith, and Al Pacino plays Marvin Shwarz, the agent of DiCaprio's Rick. Oh yeah, and Burt Reynolds, Timothy Olyphant, Kurt Russell, Tim Roth, and Michael Madsen are in the film as well. Variety confirmed Marsden's casting, but noted that insiders are not revealing which character he will play. According to Variety film reporter Justin Kroll, "the studio asked that Marsden's role not be unveiled." Of course, this has sparked some serious speculation. Tarantino's script is believed to include both Roman Polanski, the French-Polish film director who was married to Sharon Tate at the time of her murder, and Charles Manson himself. Could the secrecy shrouding Marsden's involvement mean that he'll play Polanski? A young Manson at the height of his manic power? A rebellious robot a la his Teddy Flood on HBO's Westworld? We can't say for certain, but those possibilities (okay, excluding the last one) still exist. Tarantino, we've got questions and you've got answers. Ring us when you're ready to dish up the dirt. In the meantime, we'll count down the days until Once Upon a Time in Hollywood launches on August 9, 2019.